For the past few weeks, I have been packing and cleaning, packing and cleaning for our great summer adventure. 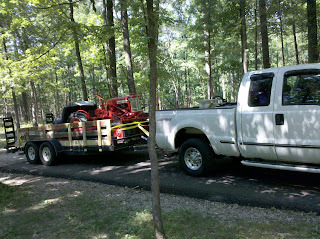 We are starting the summer tractor show traveling! YeeHaw!! 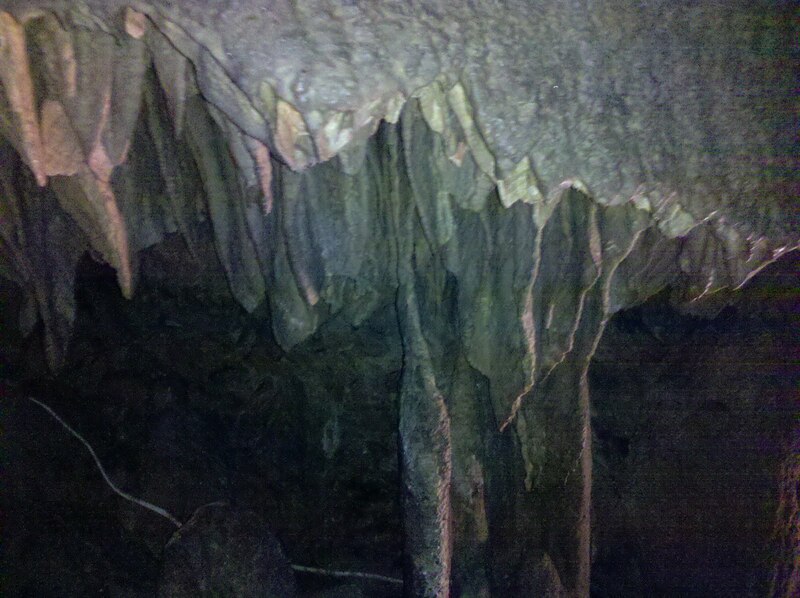 We left and headed to our first stop in Mammoth Cave National Park, Kentucky. 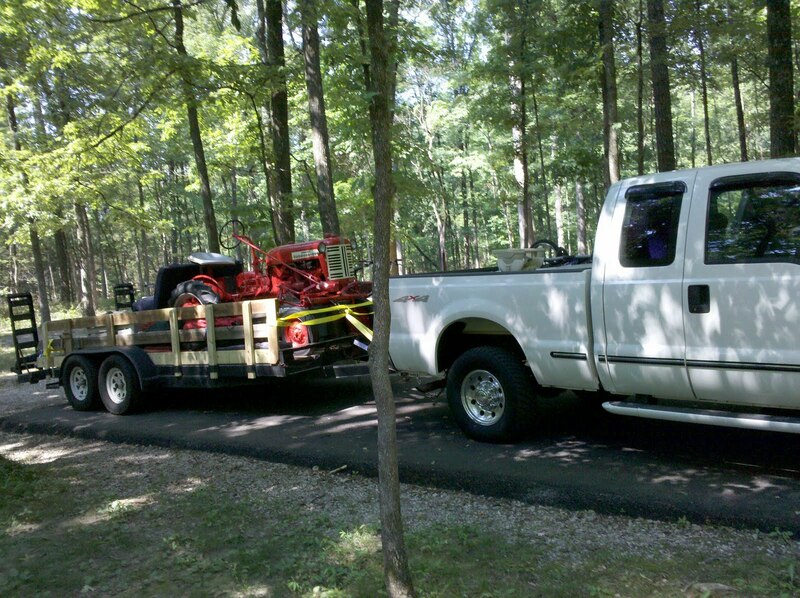 (Now I know this is not a tractor show, but it's on the way to a show. We like to stop at National and State Parks to let the boys experience different historical places.) What an awesome place! We camped in the National Park. The deer are so tame they get really close to your camp site. 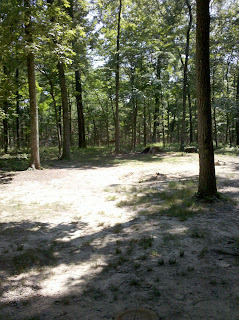 There were a couple of does that got to about 20 feet of our camp site! They were close enough that you could count their ribs! At night you could hear the deer just outside our tent calling each other. Now we see deer all the time at home but never like this! I tried to take a picture but I was too slow getting the camera ready. 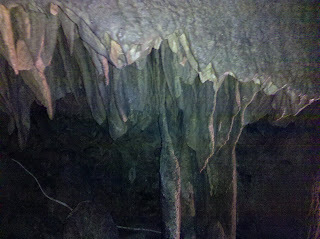 The next morning we took a tour into Mammoth Cave. Let me first tell you a little about Mammoth Cave. Mammoth is the largest cave in the world and it is believed that only 1/3 of it has been explored. Tourist first started going to Mammoth Cave in the early 1800's. There was a hotel built at the entrance of the Cave to cater to travelers and it is still in operation today. 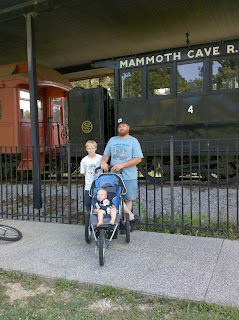 My crew was fascinated by the train that brought in tourist up until the 1920s and 30s. We had to have a picture made in front of the train! 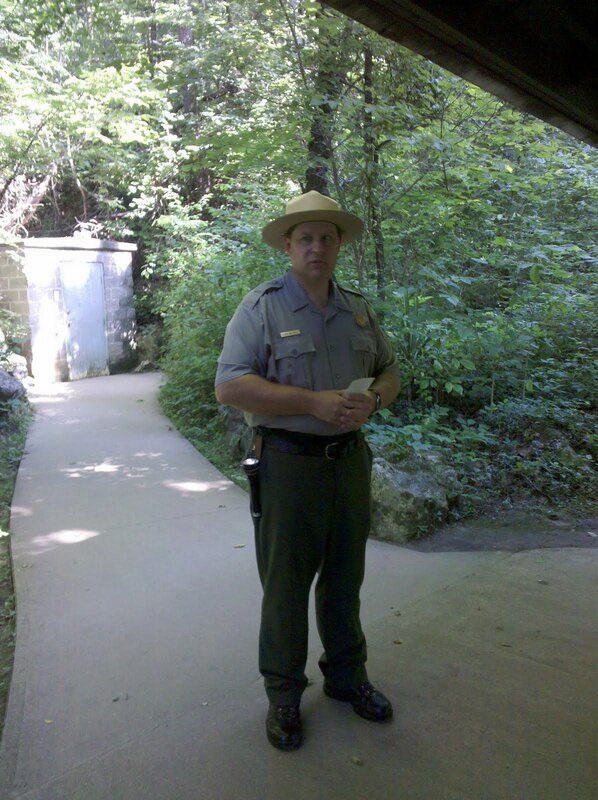 The park service took over the Mammoth Cave property in the 1930s. There is a new visitors center that will be open in July and it looks beautiful! It fits the feel of the park much better than the old one! 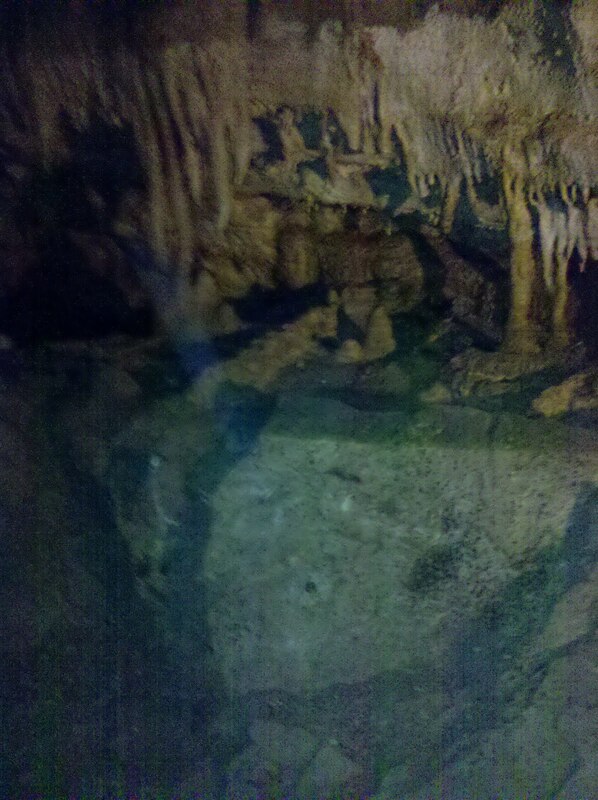 Our cave tour was at 8:45 Central Time in the morning, which wasn't early for us because were still on Eastern Time. Joe was our cave guide for the Frozen Niagara Tour. There are numerous tours and activities for the whole family. 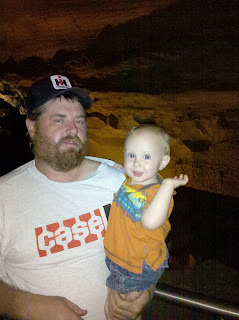 We took this tour because it was the one tour that was not only the earliest but the shortest since we would have to be carry Hamp through the cave. No strollers or back pack strollers allowed! 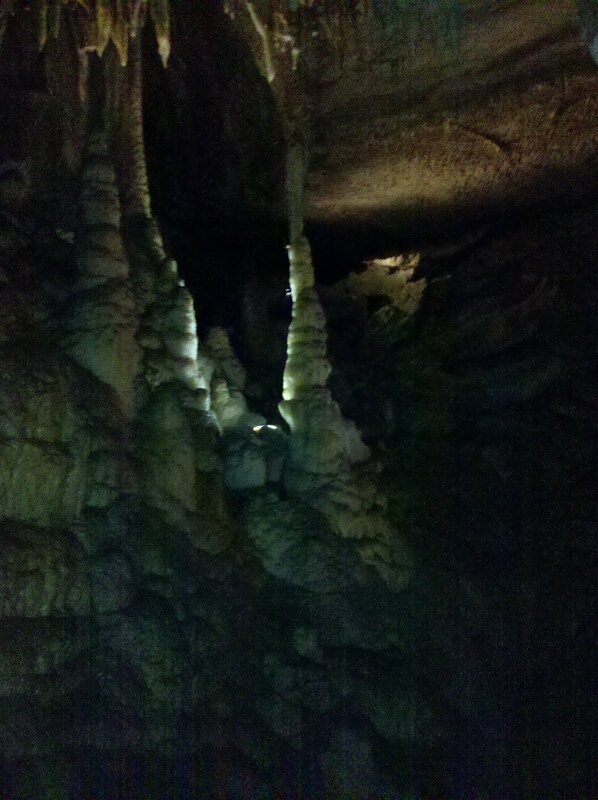 The cave was beautiful!! 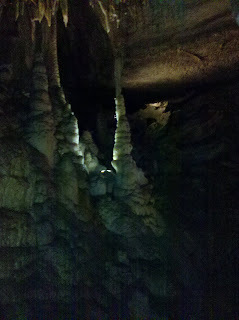 All the formations were at times just breathtaking! 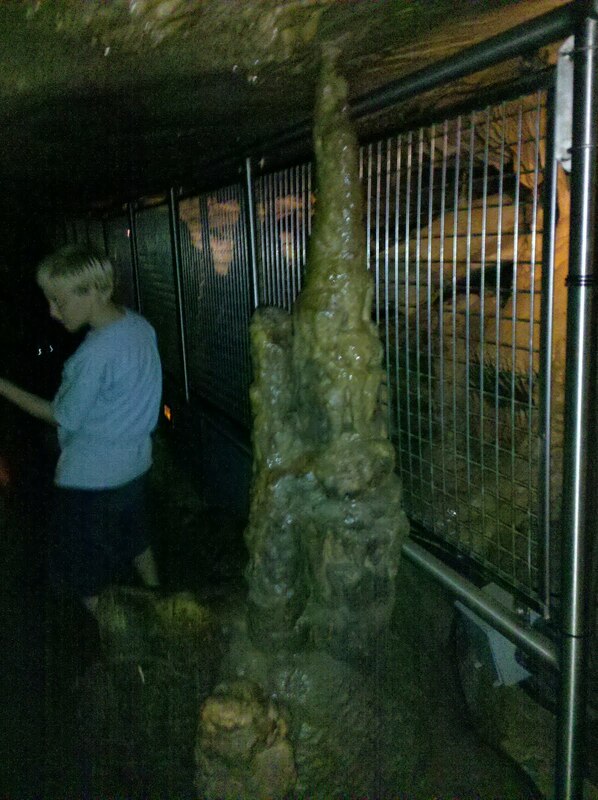 Check out the pictures for yourselves--but be warned--these pictures cannot do the cave justice! You just have to experience it for yourself! 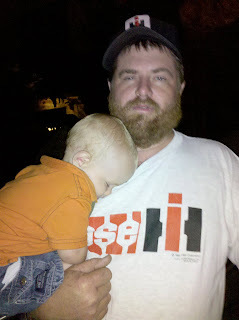 But when Joe turned off the lights to let us experience a dark cave, Hamp decided it was nap time! Now off to the 2010 Red Round-Up! !